The Negev Coexistence Forum wishes a Happy New Year, may we all have a year of justice, equality and recognition of Bedouin villages! Every year, NCF holds a ten-day photography workshops in two Bedouin unrecognized villages in the Negev-Naqab. During these workshops, children and youth learn how to use a camera and learn how to document life in their village. The whole workshop is guided by volunteer professional photographers, who expose Bedouin children to the world of photography. 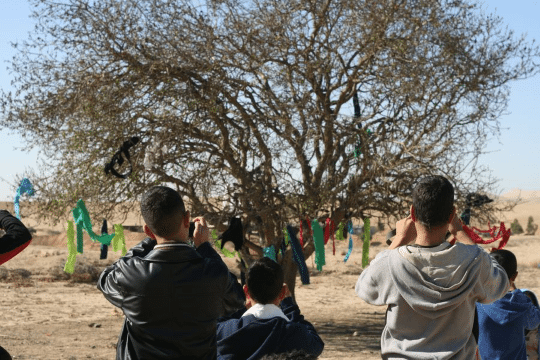 The amazing outcomes of the photography workshops, displayed in exhibitions throughout the world, allow the viewer to grasp the persistent struggle of the Bedouin community in the Negev-Naqab, through the eyes of the children living there. At the end of the workshops, participants keep the cameras and continue to document their lives and apply the knowledge they gained. In order to arrange the upcoming workshops, we need your help and support. Without your support, we will not be able to open the workshops! How can you support us? Please Visit our Headstart Project and choose your gift – calendars, postcards and pictures in variety of sizes taken by the children during previous workshops – and click “support”! We thank you in advance for your kind support and ask that you help us spread the word by telling your friends and colleagues. With your help, we can meet our target and open the winter workshops! Our Bedouin unrecognized villages documentation project is growing. Last week we issued the “One Village a Week” campaign. 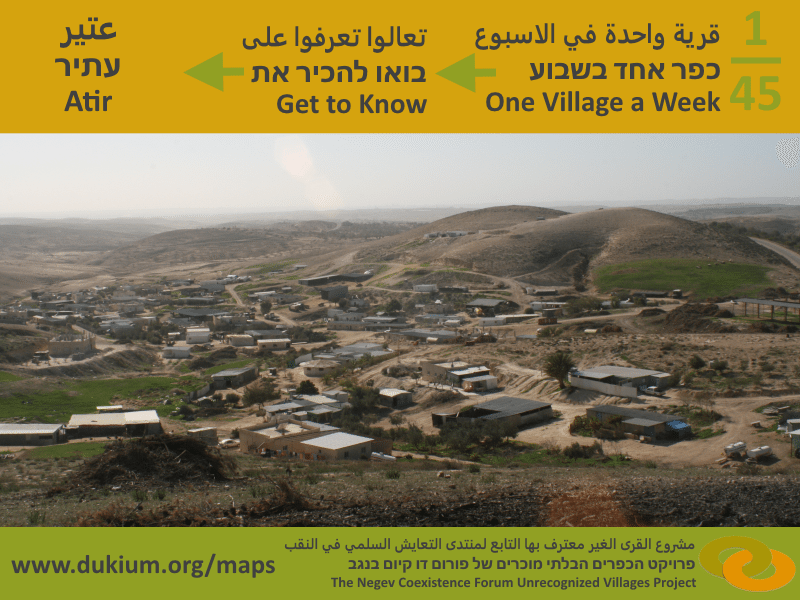 Every week, we will post information, photos and maps of one unrecognized village in the Negev-Naqab on Twitter and Facebook. Click here to see Atir on the map, watch photos from the village and read about its history, current situation and future threats. Click here and share it with your friends! 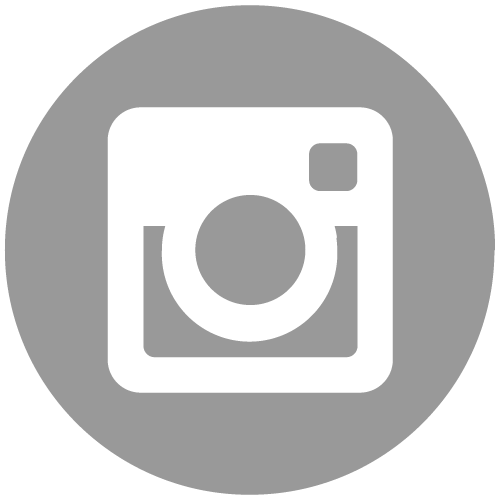 Follow our Facebook page and Twitter account to get to know One Village a Week! After a long pause in house demolition in the Negev-Naqab, during the Ramadan fast and operation Protective Edge, the demolition forces are now back. Over the last couple of weeks Bedouin homes were demolished all around the Negev. The Israeli Land Administration proudly reported that in just one day, 25 structures were demolished on September 10th, 18 by its owners and 7 by the state. On another day of demolitions, on September 16th, 28 structures were demolished, 13 by its owners and the others by the state. The Israeli Land Administration spokesperson describes these demolitions and especially the self-demolitions as “rare achievements” and “dramatic change”. With no clear plan in sight, it appears that the main policy of the authorities toward the Bedouin citizens of Israel is that of house demolitions. On Wednesday, September 17th, a court hearing was held at the Ramla Court about an appeal made by the residents of the village of Al-Arakib, over the demolition of the structures in the village’s cemetery compound. About 20 activists joined the residents during the hearing and expressed their support in their struggle. As the hearing focused on the validity of the eviction orders of the area, and the whole structures were already demolished in the beginning of June, the judge ruled that he is not authorized to discuss some of the arguments made by the residents of Al-Arakib and decided to reject the appeal and to close the execution case of the eviction orders. During the court hearing, the State Attorney Representative clearly expressed that the State can use a variety of laws that allows the demolition of the structures in the cemetery compound. The judge further stated that the case of eviction orders can be open again in the future. The threat of demolition is still hovering over the residents of Al-Arakib village and the few shacks they live in at the cemetery compound.